Choosing a high-quality fish oil is crucial in order to reap the maximum health benefits. If you end up with a low-quality supplement, it may have little to no effect, or even adverse effects. Fish oil is one of the primary sources of eicosapentaenoic acid and docosahexaenoic acid -- two omega-3 three fats essential to your health. They're most commonly known for heart-health benefits, but they also play a role in brain health. A number of factors influence the quality of a fish oil supplement. Robust stability measures are crucial since fish oil goes rancid easily. Contamination is another factor. While contaminants are everywhere in our environment, a high-quality fish oil will not exceed the limit of PCBs and mercury outlined by the United States Pharmacopeia, which sets standards for dietary supplements. A high-quality fish oil contains the amount of EPA and DHA stated on the label, while a low-quality fish oil may contain significantly less. 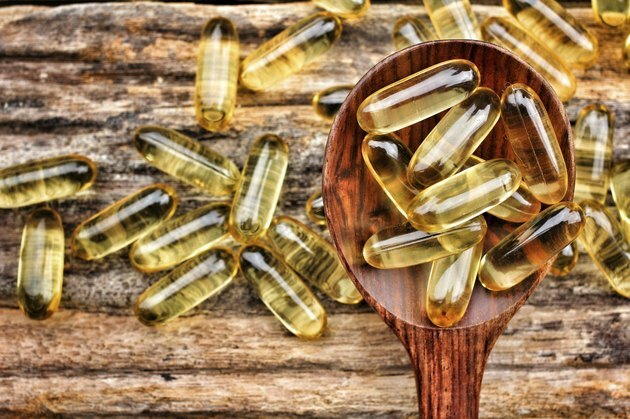 Consumer Lab, a supplement watchdog group, reviewed 30 fish oil and omega-3 supplements. It analyzed the supplements for stability, contaminants, EPA/DHA content and effectiveness of pills that had enteric coating -- a type of coating designed to withstand stomach acid and release its contents into the small intestines. Several brands made it to the top of the list. Three high-quality products are Spring Valley Omega-3, Carlson Super Omega-3 Gem and Nature's Way Fisol, according to the report released in April 2014. LabDoor is another supplement watchdog group that purchases products and sends them to a U.S. Food and Drug Administration-registered laboratory for analysis. It analyzed 31 fish oil supplements for factors such as total omega-3 content, EPA/DHA ratios, stability and mercury contamination. It then ranked the fish oils by letters A to D, with A being high quality. WHC UnoCardio 1000 + Vitamin D 1000 is the only product to receive a solid A. Omega Via fish oil and Vitamin Shoppe Fish Oil are two high-quality products that received an A-. The LabDoor website does not mention the date of its report. The International Fish Oil Standards Program is the only third-party certification program for fish oils. It tests fish oil products by lot for active ingredients, contaminants and freshness and awards the IFOS 5-Star Rating to products with the highest standards. Look for fish oil with the IFOS certification label. Norwegian Gold Critical Omega is IFOS-certified, and Nutrigold Triple Strength Omega-3 earned the IFOS 5-Star rating. The IFOS website offers a search feature for consumers to check whether their fish oil is certified by searching product, brand or lot number. IFOS certification is voluntary, so brands not carrying the label may still provide high-quality fish oil. What Does USP Mean on Vitamin Supplements?